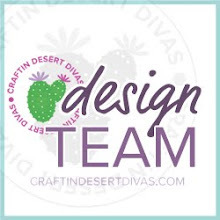 Craftin Desert Divas Blog: CDD Exciting News!!! 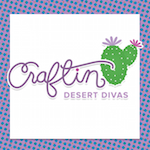 I'm here to share some exciting news for Craftin Desert Divas stamps!! CDD is now exclusive with Kristi W Designs for images on my stamps. I just adore Kristi's images and they are going to be a great addition to my stamps. WooHoo!! CDD stamps are turning 1yr this month! Wow I can hardly believe it. I want to say THANK YOU all so much for your wonderful support. I truly appreciate it. I want to invite you all to our March 1yr Birthday Bash stamp release. Click HERE to join the event page on FB. Feel free to share the event and invite your friends. Not only will we have 7 new stamps and free SVGS everyday, but our blog hop has some wonderful sponsor prizes!! I hope you will join us on March 16 right here. Have a great day!! Such exciting news, Tara! I'm glad to be in on the fun. Happy 1 year to CDD stamps!! Very exciting news, Tara! And congrats on the one year! Yay! Can't wait! It sounds fantastic! Congratulations on making the 1 year mark! This makes me so very happy. This has me so excited....even though I have to wait, I know it will be another great hop. Congrats. How exciting. Thanks for sharing. I've added your release badge to my blog sidebar.